Rapala for Kinect is, as is likely obvious, a fishing game. This game, however, is played in one of the most unconventional manners likely ever seen in the pantheon of fishing games. Motion controls with the Kinect peripheral are the singular input methods for the game. 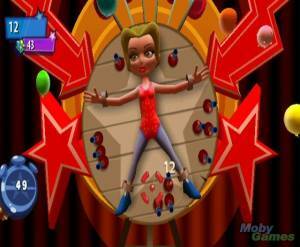 There are two primary modes in the game, Arcade Fishing and Boat Race Mode. Arcade fishing is generally as it sounds, simply fishing with a focus on catching the largest fish, and certain target fish in the fastest times and hardest of three difficulties (which can be selected as a fish is first caught). Players cast the line, attract a fish and reel the fish in. This, however, is where Rapala for Kinect takes a drastic departure from a typical arcade fishing game. 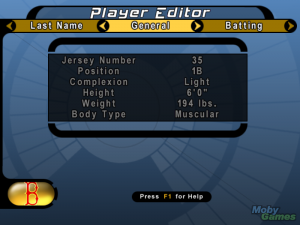 Player physically swing their right arm overhand to cast a line, and scan the level moving left to right with the left arm. Various actions may then be done to attract a fish, such as twisting the torso to either side, moving hands quickly in circular patterns, moving hands up and down, and the like. When a fish is hooked is when things get interesting. 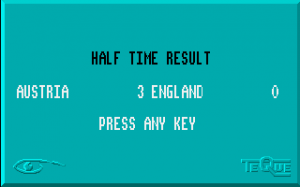 There are three different difficulty settings to choose once a fish has been hooked, and they're selected by the player holding their arms out in the right direction and angle as indicated by onscreen prompts. The easiest mode simply has players "punching" or slapping the fish to reel it in. The medium challenge requires players to hold their arms out at the proper angles to clear onscreen prompts. The hardest difficulty requires players to get their whole body in on it: Players must match five different poses in quick succession to reel in a catch. Poses run the gamut of a sumo position, a military salute, a surfer-themed move called "super cool," a "number 1" pose, and other abstract positions. These must be performed quickly in order to be recognized and to prevent the fish from fighting back and forcing the player to start the process over. The final part of this endeavor may require the player to physically "reel in" the fish by moving their arms to and from their chest in a circular motion. Different kinds of lures are factored into the fishing, and just like real fishing, the lures have their own personalities, and talk in their own voices! 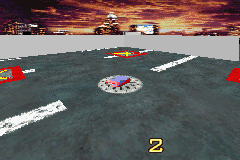 Boat races are performed by players holding both arms straight ahead as if they're holding an actual steering wheel. Steering the boat is performed simply by turning the hands to turn the boat. Players can also lean left or right to further affect the turning. Special items and power-ups are scattered about the races which affect both the boat races and the regular arcade fishing. Boat races may also be performed separately from the main arcade mode.